Action paintball can be great fun for people of all ages. Paintball games know no age limits. It is a game that the entire family can enjoy. It is a great way for friends and family to spend quality time together. Paintball games are filled with action packed fun and breathtaking excitement. There is no need to buy special equipment. A local paintball field will have all the supplies needed for hours of enjoyment. A paintball field will rent goggles, guns and air tanks. Playing action paintball can provide great entertainment for birthday parties and get-togethers. 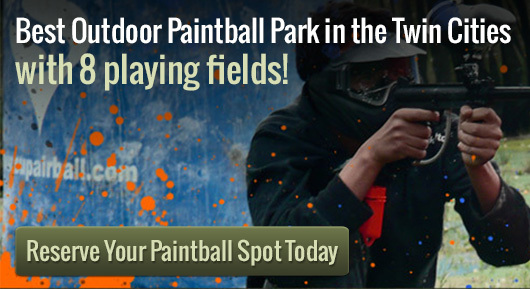 Many paintball fields offer special packages for parties and other events. There are several types of games that are played in Action Packed Paintball. A few popular games include capture the flag, base defense and hostage. Players are divided into teams. When there are a large number of players, team members may tie a colored cloth to their arms or guns to identify team members. In all game play, players shoot paintballs at each other. In most games, if a paintball breaks anywhere on the body or gun, the player is out of the game. They must leave the field with their gun raised over their head. When a team has accomplished their objective, all players on the field are notified. Action paintball is most enjoyable when a few guidelines are followed. Assure that the field is large enough to accommodate the number of players and establish the boundaries for play. The dead zone is the area where players go once they are eliminated. All players should be informed of the location of the dead zone. Set a time limit for the game should there be no winner. Follow all safety rules. Wear a mask at all times, do not fire more than less than 280 FPS and do not fire blindly.